Are you ready to pull the grill out and start barbecuing up a storm? Yes, that is a real word! 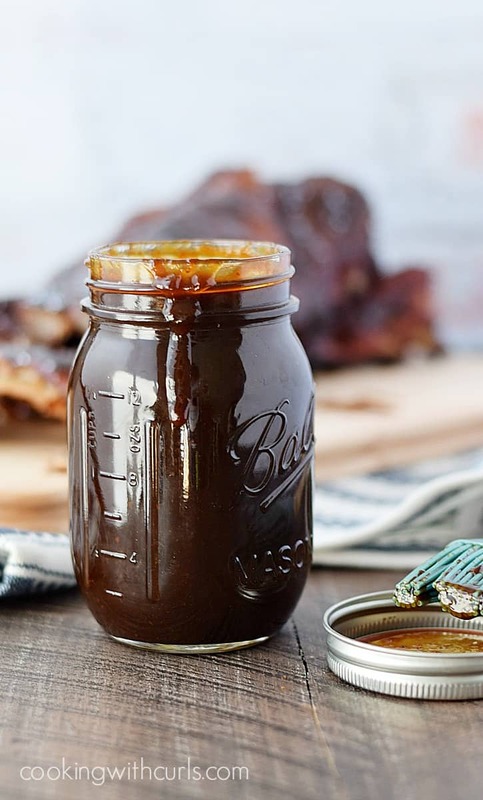 Whether you are craving beef, chicken, or ribs this Pineapple Bourbon Barbecue Sauce is ready for the job! It is sweet, slightly spicy, and boy does it pack a punch!! It’s not a bad punch, but you do need to be ready for it, LOL….. 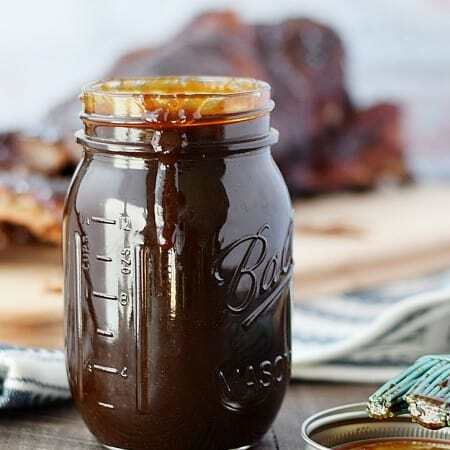 It is a multi-layer barbecue sauce that will run circles around any sauce that is available in the grocery store, and super simple to prepare. 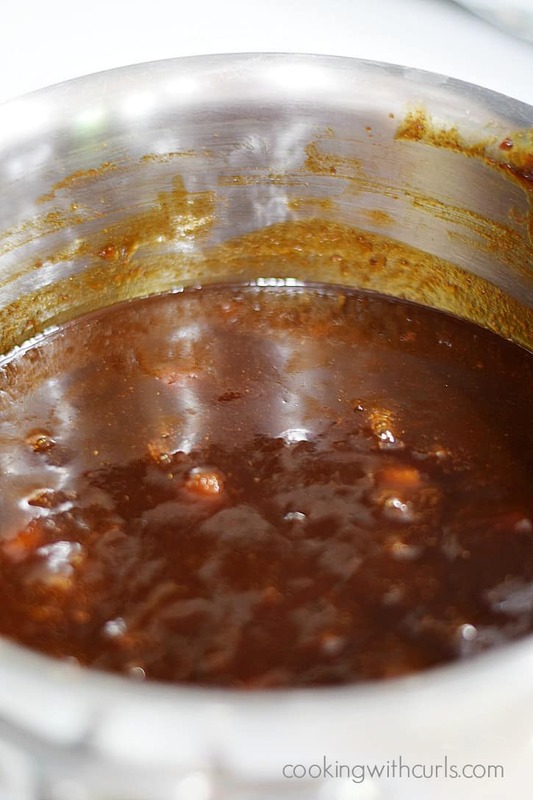 Reduce heat and simmer for 30 to 40 minutes, until thick and reduced by about half….. It smells amazing as it simmers!! 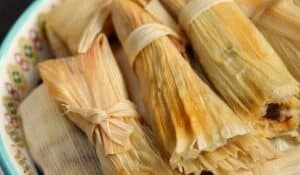 Serve immediately, or store in a sealed container in the refrigerator for up to a week….. This recipe will fill 1 1/2 mason jars if you are not using it immediately. 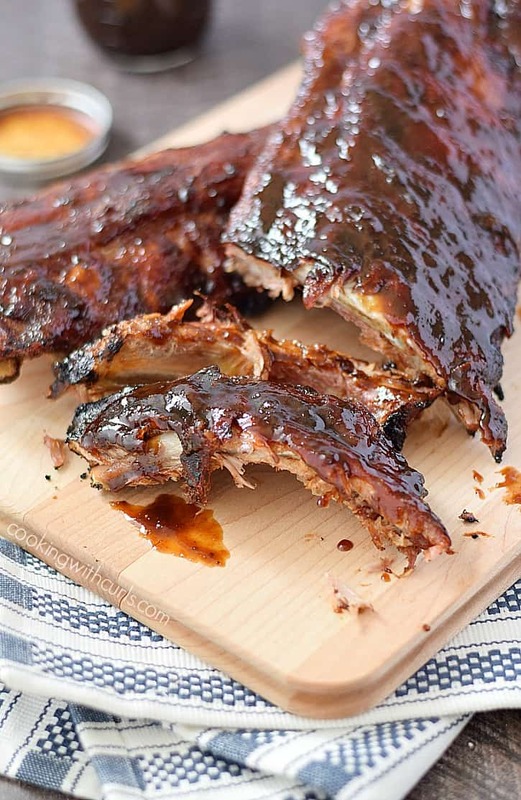 These Pineapple Bourbon Barbecue Ribs were so delicious!! The amount of heat is up to you. I used 1/2 teaspoon of chipotle chili powder and was happy with the amount of heat. My son’s girlfriend would have preferred that I use the whole jar, she likes her food A FUEGO!! I can’t wait to try this sauce with Slow Cooker Shredded Barbecue Chicken, or on a Cowboy Burger!! 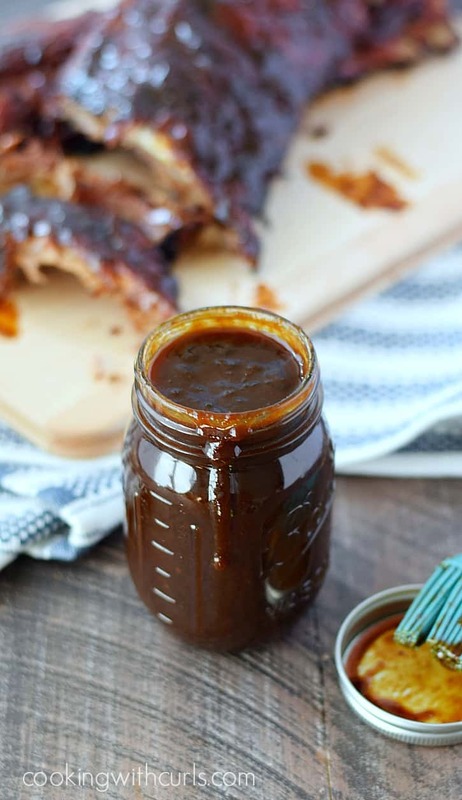 Kick up your next BBQ with this sweet and spicy Pineapple Bourbon Barbecue Sauce that packs a punch!! Reduce heat and simmer for 30 to 40 minutes, until thick and reduced by about half. Use additional chipotle chili powder for added heat! I am so ready for some ribs- AMAZING Lisa- I love this! Mmmmmm bourbon, yes please;-)! This is going to be good! Thanks! Was so good, both on ribs and also put on “Sweet and Spicy Chicken Breasts” – AWESOME!!! Thank you so much Pam, I’m so glad you like it! I have made this twice now and shared it with every cook I know. It is the absolute t*ts, Everyone thinks its the best they ever had. Any alcohol is cooked out only the flavor of the Bourbon remains. 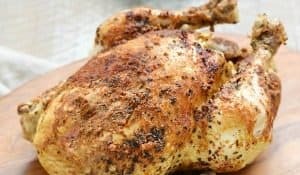 Great BBQ recipe. Sounds scrumptious, and looks finger-lickin’ good! I’ll be featuring your barbecue sauce tomorrow at Best of the Weekend! Thanks for sharing! I bet this is some amazing sauce. What great ingredients!! Yum, yum, yum! 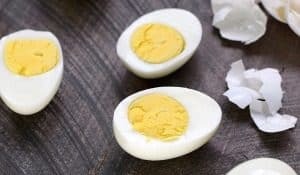 I made this and it’s delicious and so easy to make!